Why settle for a cramped apartment when you can live in an attractive single family home at a competitive rate? At Home Run Management, we can help you find a comfortable and private place to live in one of our rental homes. We offer handpicked properties with large yards, private garages, and pet-friendly atmospheres in nice, clean neighborhoods. In addition, our properties give you access to a range of activities, since they are close to shopping, restaurants, and coffee shops. 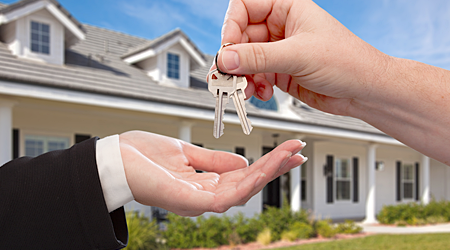 For more information about the rental properties we have available, contact us today. We look forward to welcoming you home. Improve your living condition with one of the single-family homes for rent from Home Run Management. Our goal at Home Run Management is to help apartment dwellers enjoy the advantages of renting a single-family home. From privacy to affordability, we can show you how to get more value for your housing dollar by renting a home instead of an apartment. With more than two decades of experience leasing homes in Baytown, Texas, and surrounding areas, you’ll appreciate our combination of superior properties and a personal touch. Look over the properties we have for rent via video and complete your application over the phone; we’re confident that you’ll find one that represents an improvement for you and your family. If you have any questions or interests in a property, you can reach us by phone without having to go through an automated menu.